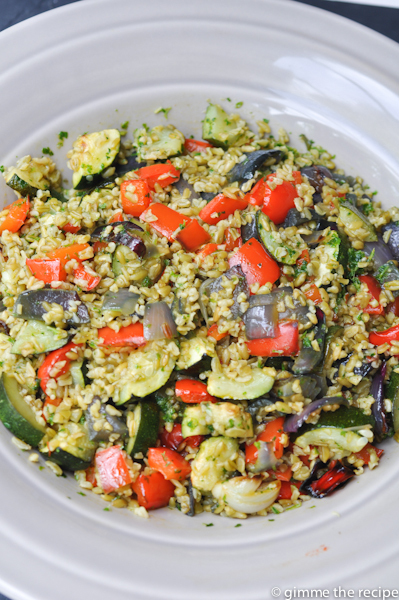 Zhoug Freekeh & Summer Roast Vegetables. 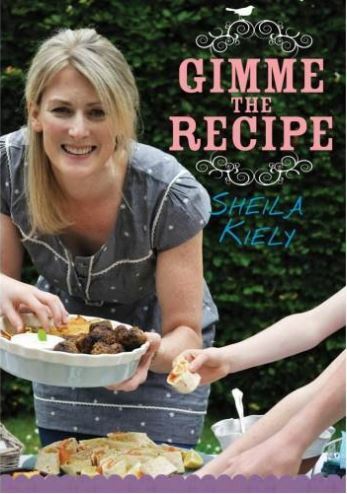 In the summer months you want something tasty, healthy and filling that’s easy to make and doesn’t have you tied to the heat of the kitchen. 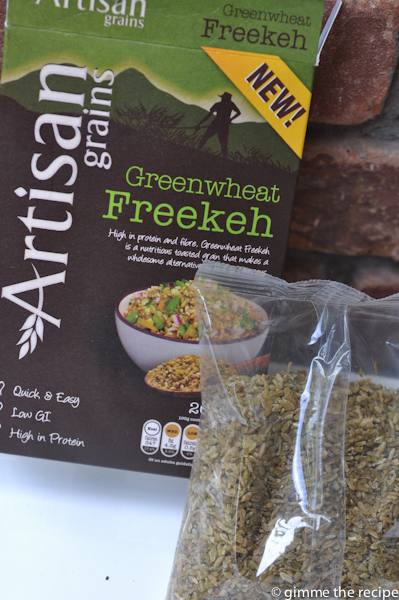 Freekeh is perfect. I came across a box in my local SuperValu and was curious to try it out. Delicious served hot as shown here and great the next day chilled and bulked up with some salad leaves and feta cubes. Along with roast vegetables the flavour is being brought to this freekeh dish with a zhoug paste. 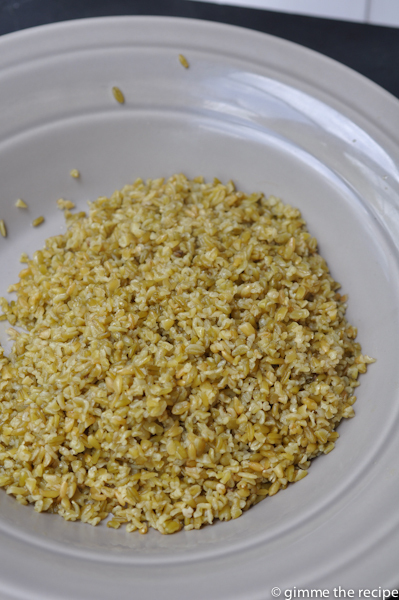 Freekeh and zhoug – two words I’d never encountered until 2015. 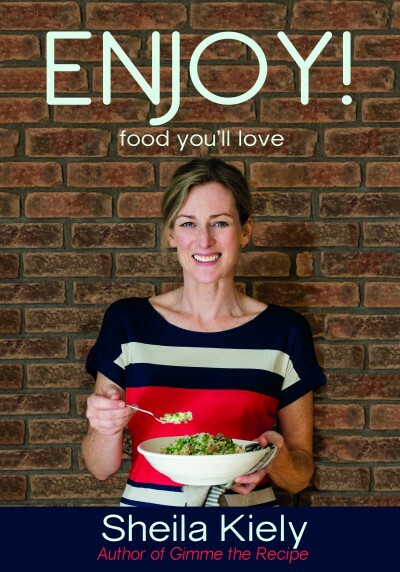 That is the amazing thing about food, there’s always some new exciting ingredient to discover and something equally different to do with it. 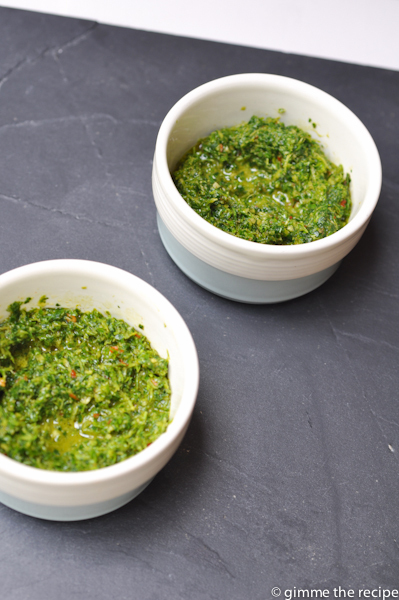 The zhoug paste recipe that I used was from the Irish Food & Wine Magazine – recipe by Garrett Fitzgerald of Brother Hubbard. NB: This makes a vast quantity of zhoug paste – 2 ramekins of zhoug paste, so I would advise halving the ingredients/quantities. My pictures aren’t as vibrantly green as they should be as I’d no green chillies and used red chilli paste instead. 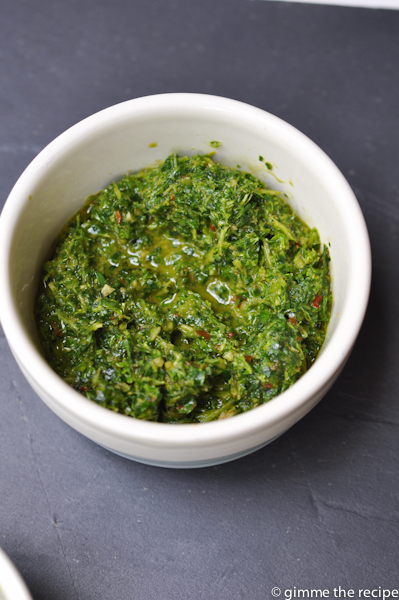 Use zhoug paste as you would a pesto to ramp up any salads, pizzas, sandwiches etc. Roast vegetables in hot oven for 20 to 25 minutes until getting tender but still retaining some bite. Stir, bring to the boil. Reduce heat and simmer for 15 minutes. 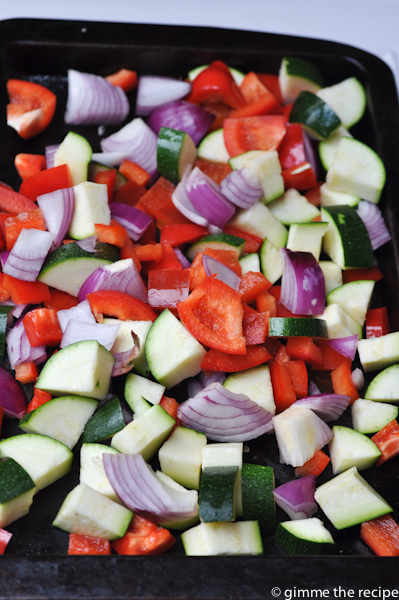 Stir the roast summer vegetables through the hot freekeh along with 1 tbsp of zhoug paste and a little oil if needed. You had me at “Greenwheat Freekeh” then you confused me with “Zhoug”. It all looks very healthy and delicious.